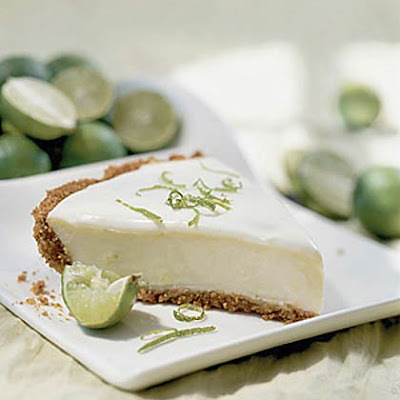 I've been craving Key Lime Pie. Besides Ice Cream, it's the best summer dessert. It's cool, refreshing and light. Here are some action shots of the ridiculously simple recipe (that turned out great) This is a modification of several recipes I found online. 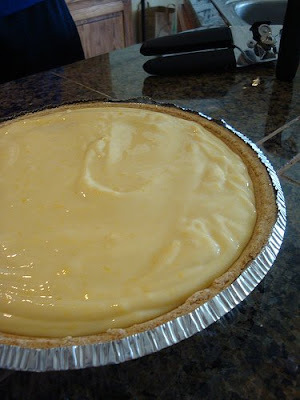 Key Lime Pie 1 Graham Cracker Crust (premade, if you're lazy like me) 2 cans sweetened condenced milk 4 egg yolks 1 cup key lime juice 1. Preheat oven to 375 degrees F. 2. 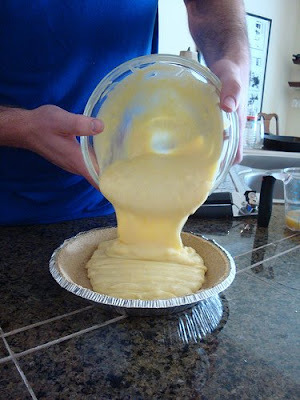 Combine the egg yolks, sweetened condensed milk and lime juice. Mix well. Pour into unbaked graham cracker shell. 3. Bake in preheated oven for 15 minutes. Allow to cool. Top with whipped topping and garnish with lime slices if desired.